You Craft Me Up! : Giveaway #2! ***You still have till tomorrow (Wednesday at noon) to enter the giveaway for some Kitchen Aid bling! I didn't even have to go looking for the sponsor for this giveaway, they came to me! When Stacie from Rhodes Bake & Serve Company contacted me, I couldn't believe it! 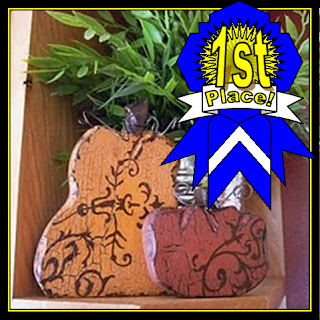 Stacie saw this post and offered to giveaway a wonderful Rhodes Bake & Serve Gift Basket! This is a giveaway I wish I could enter myself! Yes it is really that easy! 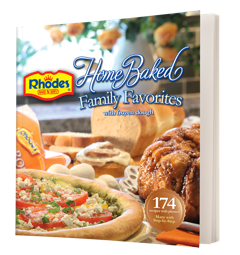 Stacie is also offering another Rhodes cookbook for a second lucky winner! These LEMON PULL-APARTS are to die for! And who doesn't love doughnuts??? So so yummy and so easy, the kids have a ball making their own! either of these great prizes is absolutely going to love it! Thanks again Stacie! I am so grateful for your giveaway! P.S. Did you know you can sign up for a weekly recipe email from Rhodes? I just found out! Will you make this food for me to? I love Rhodes Rolls! I would love to win! I'm hungry now for a calzone and it's midnight! I would love to win!! I love Rhodes! I make great scones with the frozen roll dough. My stomach started to growl midway through reading this! YUM! Thanks for the chance to win this!! I wonder where I can get my hands on some Rhodes products in SoCal. I love free stuff and your calzone recipe is delicious! Those lemon pull aparts look sooo good. I love anything with lemon. I love those rolls! I always try to make some of the Texas sized ones for family get-togethers. We have these rolls here, too! What a fun giveaway. I'm a follower and I thank you for the chance! I love these rolls. I am a follower.. I'm a follower and would LOVE this! Looks fun. Yummmy!! I have been needing some new recipes. Such a delish giveaway, thanks for the opportunity! Yum Yum Yum!! I'm a follower! Oh I would love to win this gift basket! Another awesome giveaway! What mom doesn't love getting a head start on dinner or baking?! Count me in! I'm a follower. So much can be done w/ Rhodes dough. I am so glad I found your blog. I am now following it. I would also LOVE to win this Rhodes gift basket! I absolutely love their stuff. I *LOVE* Rhodes! They're the reason I drive 20 minutes to the nearest WalMart--the only place in my area that carries the Rhodes brand! No other frozen dough is quite the same. PLEASE pick me - if not you have to make all this yummy food for me or atleast share the recipie. You always make me laugh! Have a good day. They have done a few segments on Good Things Utah and I love learning to make something besides plain rolls. Yummy! YUM!! Would love to win this one!! I love new recipes!! Absolutely love everything Rhodes. So much better than using bread machine. Follow Rhodes on FB and email. MMMM!!! Pick me! Pick me! My husband could keep rhodes rolls in business bc he loves all things "roll"
I love Rhodes Back and Serve! Pick me, Pick me! These pictures are making me hungry! What a great giveaway sign me up! Thanks for the opportunity. I didn't know Rhodes had a cookbook. You got yourself a new follower. That looks awesome!! Pick me!! I would love this giveaway. Love ya girl. 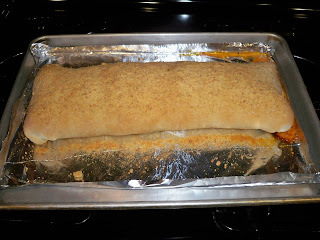 Was just wandering what to make for dinner...maybe a calzone! add me to that list. I'm excited to get their e-mail recipes, thanks for the link! When I get a life, I want to make it to one of your craft nights! Since I've sat on your lawn and looked through this cookbook, I know it's awesome! I want it! I love Rhodes! Am a new follower. Enjoying back reading. I make that calzone all the time and my family loves it!! Hope I win something!! Is it noon yet where you are!? maybe I'll get lucky, haha. new follower via GFC. Great giveaway! I learned to make rolls with rhodes. For the longest time I thought that was the only way to make rolls. I'd love either one!